If your child is planning on going to university you're probably wondering how much the process has changed since you were at that stage, and what needs to be done when. 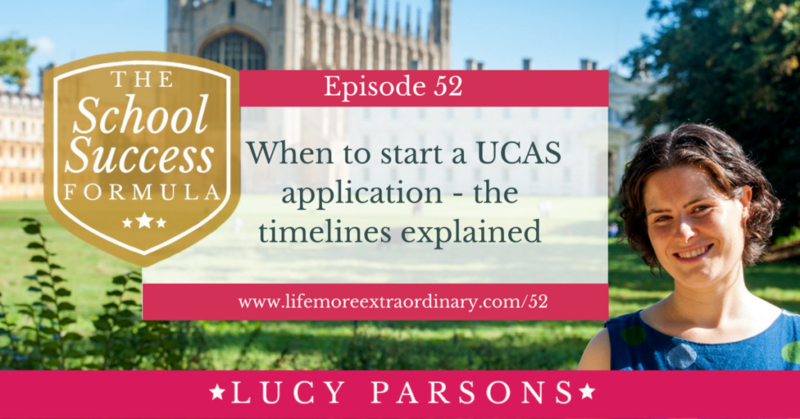 In this blog post I'm going to explain when to start a UCAS application as well as all the timelines leading up to starting an application so that you and your child are fully prepared when applications open. Just in case you're not already in the know, I thought it would be useful to explain what UCAS is first. 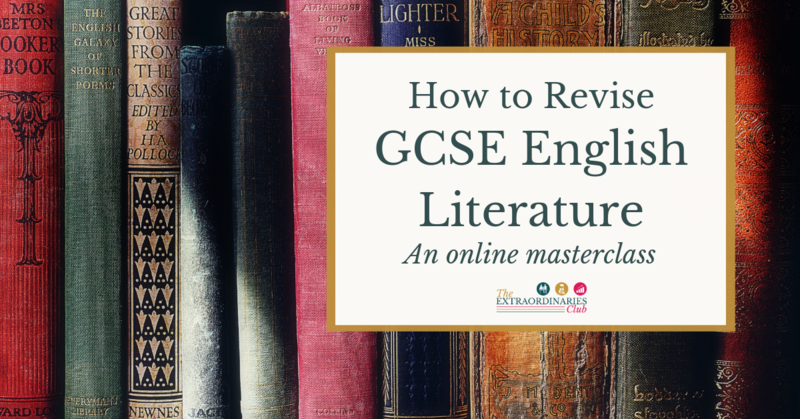 They are basically the intermediary between university applicants and universities, handling all the admissions and making sure the right applications get to the right places and that the offers system is managed properly. If you want to apply to a UK university, you need to submit your application through UCAS. 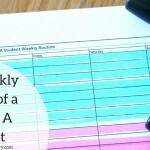 When can you start a UCAS application? 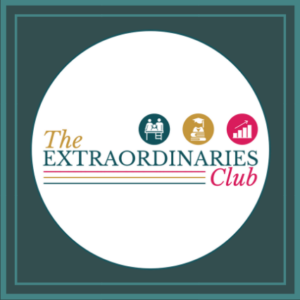 For the majority of courses – 15th January 2019. (Some 2018 entry art and design courses have a 24 March deadline, so you can add these later; but don’t forget you can only have five choices in total. 2019 entry art and design courses will have the 15 January deadline). Find out up to date information and more detail on the UCAS website. If you apply after 30th June you will automatically be entered into the clearing process. What comes before the actual application? It's all very well talking about the dates that you can start typing your name and address into the form and pressing the submit button, but most of the hard work has to come before this. 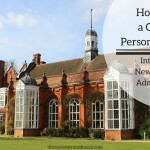 The rest of this post will talk about what actually comes before starting the application process on the UCAS website. When should you start thinking about your UCAS application? b) has the necessary material to put together a strong application and personal statement. If your child is thinking about applying to the UK's premier universities, such as Oxford and Cambridge, and the very competitive courses at top Russell Group universities, they should ideally start thinking about this earlier in year 11. What needs to be done before your child submits their application falls into two parts. Choosing which courses and universities to apply for are massive decisions. 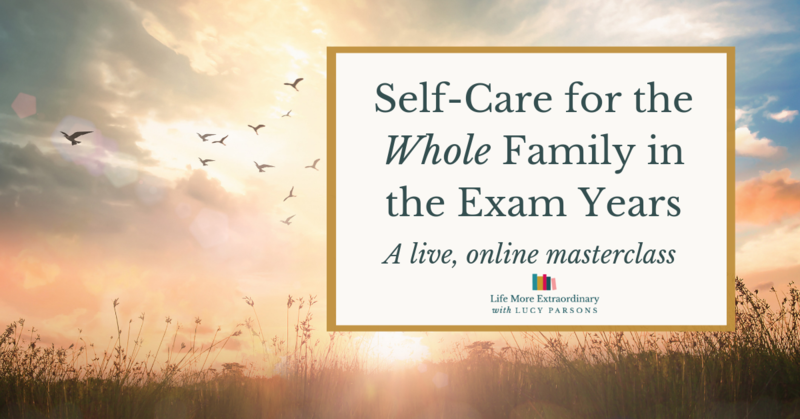 Your child is choosing where they are going to spend three years of their life, what they're going to learn and effectively set the direction for their working life, and quite possibly their personal life, for at least the next decade. This means that they need to be carefully considering which courses appeal to them, by looking at university websites, and starting to visit universities to see if they like the vibe both socially and academically. The visits, in particular, take a lot of time, money and energy. Why does my child need to start so early? As you will be able to imagine, all of the above takes time to plan and time to do. You can't just decide to do work experience at a vet's and start tomorrow. You have to find somewhere willing to take you at a time when you can make it. 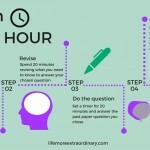 If you think about it, most of the school holidays in year 11 will be taken up with revision. Part of the summer holidays in both year 11 and year 12 will probably involve a family holiday. This really doesn't leave many weeks in which to do all the things that I have listed above. That's why you have to start early, making sure you're not caught out with the application deadlines approaching and nothing to include in the personal statement. Also, remember, you put yourself at an advantage by applying early – it's obvious that the sooner you apply in the application cycle the more spaces will be available so the more likely your child will be to be offered a place. 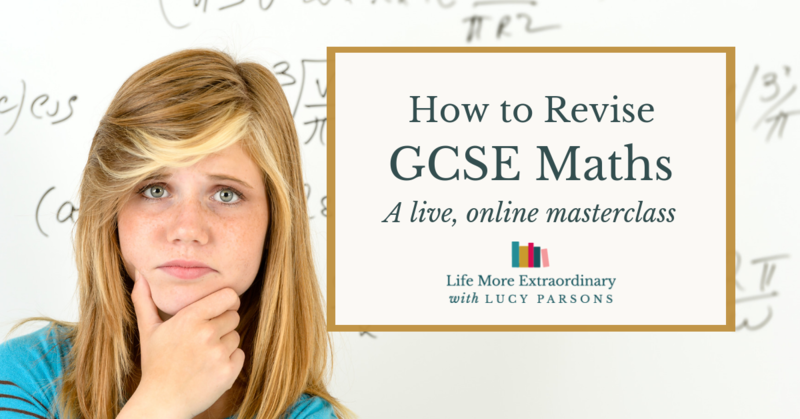 Finally, the sooner you get this UCAS application business out of the way, the sooner your child will be able to focus back on their studies to actually get the grades they need to get in. Would you like my help with all this? If all of the above sounds a bit overwhelming, don't worry, I'm here to help you. 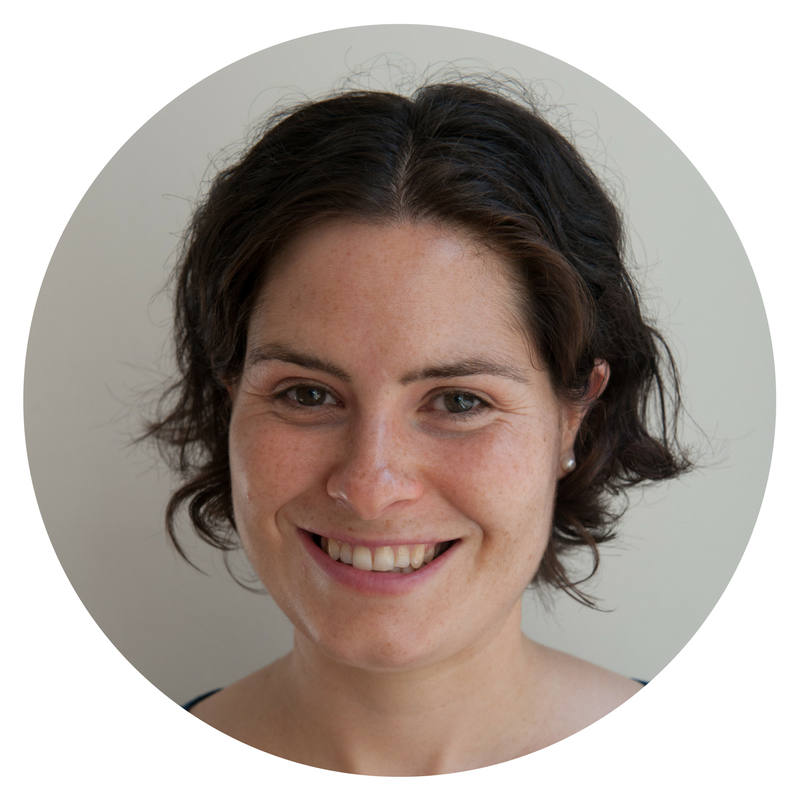 I have three different ways that I can support you and your child to go through the process I've outlined above. 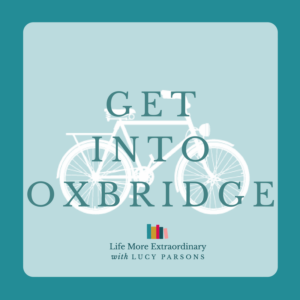 Top Ten Mastermind – this is for students who are applying to Oxford, Cambridge or the top Russell Group universities. It's a three-month group coaching programme where I will also provide some one-to-one sessions for the students to fully support them in selecting university courses and putting together a suite of activities that will make their application stand out from the crowd. Students will also receive access to my very popular and successful e-course on writing personal statements, Your complete guide to a winning personal statement. Check it out here. 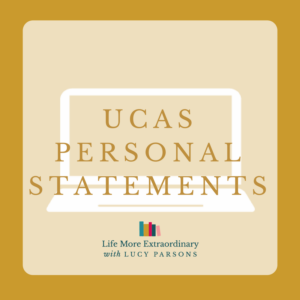 Personal statement planning workshop – this live workshop is for all other students and will walk them through the process of planning activities to support their UCAS application in one evening. 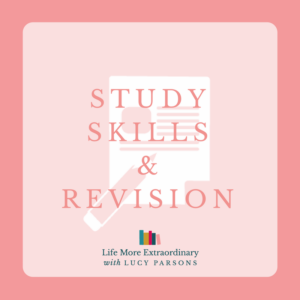 Students will also receive access to my very popular and successful e-course on writing personal statements, Your complete guide to a winning personal statement. Your complete guide to a winning personal statement – if you're all sorted with the planning stuff, this is for you. 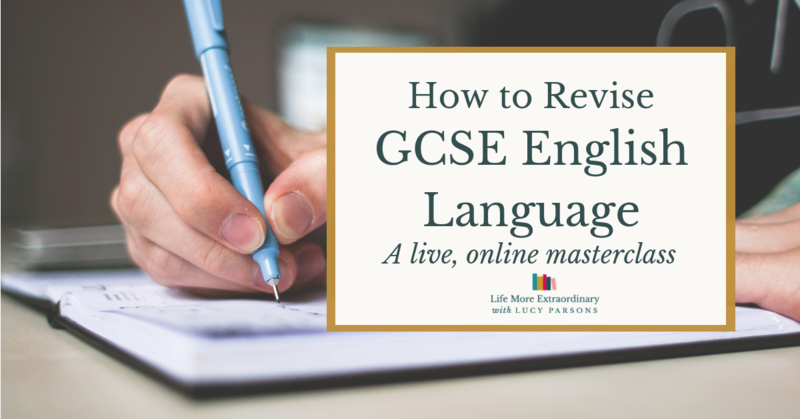 With this very successful e-course your child will go from a blank piece of paper to a very high-quality personal statement without the stress and worry. Just follow my steps and you'll have a high-quality personal statement, no problem. Click here to find out more.